Welcome back for Week 2! Gosh- my head has been spinning this week. There is only so much to do in a room that is 5’x 9’, but it was driving me CRAZY. I was going to start this post with the pretty part, but I think we should get the nitty-gritty part out of the way. These are my room sketches for the floor plan and wall elevations. These are not architectural drawings that are drawn to scale. The actual measurements are more important than the size of the drawings. It’s truly a rough sketch of the layout. The floor plan focuses on side-to-side measurements, things you would see from a bird’s eye view. I was so excited that these 24”d drawer units would JUST fit in my laundry room. Then, I realized that they just BARELY fit in my laundry room…While the open space up above would feel spacious, I’m giving up precious floor space. The million dollar question is, is it worth it?! After teetering back and forth like a crazy person, I finally decided to tape out the 3 ALGOT units on the floor. I know it doesn’t look like it’s taking up that much more floor space, but it actually does when you’re moving around, with at least 1 baby or toddler straggling along side you! My professional interior design intuition was telling me this was not the right solution, but I also fell in love with the idea of hanging up several pieces of artwork on the wall. WHYYYYYYY? In the end, I decided to forgo the drawer units and keep my existing 36”l x 16”d x 72”h baker’s rack. Even though it is tall, it will provide all the storage I need without taking up what precious floor space I have in my tiny laundry room. My husband and I agreed to move our primary shoe storage to the hallway closet, so I’m increasing our existing floor space. In addition to that, I will be filling the baker’s rack with matching baskets to organize everything beautifully, which will declutter this tall rack. Phew! Alright, you earned it! Let’s look at some pretty things now…Here is my Laundry Room Collection, which I am totally LOVING right now. 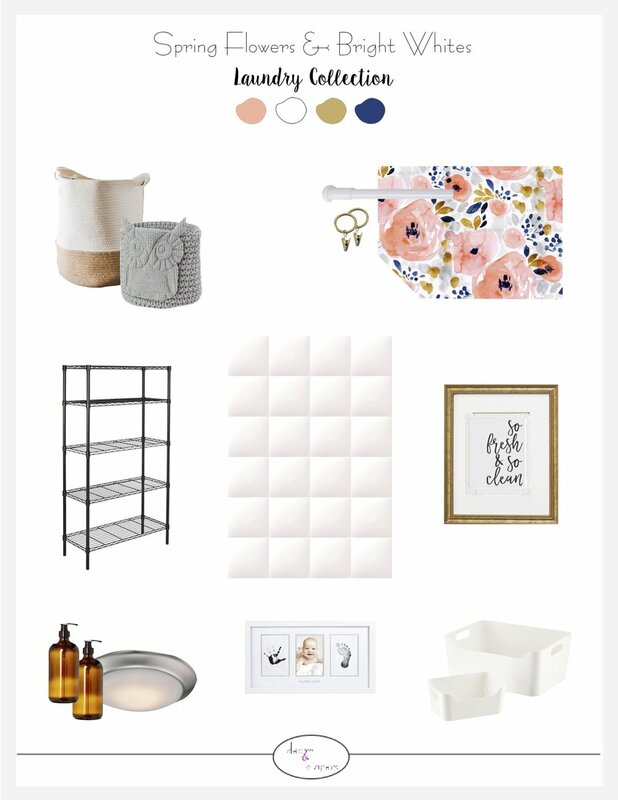 My design concept is “Spring Flowers & Bright Whites.” Get the laundry pun in there? (Like, bright white socks? Haha) I knew instantly that I wanted white storage bins to organize my baker’s rack. Uniformity will up my organizing game, and look really fresh. I only looked at one thousand baskets until I found the perfect size and glossy finish, to help reflect light in the room. My grey laundry baskets work pretty well, but I wanted them to be white to continue the color theme on the rack. These dip-dye baskets are pretty chic’, right? I think I’ll keep my boys’ owl laundry basket for their clothes, at ground level so they can participate in laundry. See my inspiration artwork there? “So fresh & so clean,” continued to inspire the selection of products and finishes for my design. Remember I mentioned how flowers always make a home feel fresh and loved? Well, I found the perfect floral by @cystal.w.design. on spoonflower.com. (I follow her on Instagram, and just happened to select her fabric on the website.) The color palette is perfect for my home, and this will be the most beautiful focal point! I’m designing flat-panel curtains to cover the 2 metal utility racks above the washer and dryer. I know that is going to make the biggest impact when you walk in the room. I’m so excited! As I was choosing the little details in this design, I found myself drawn to antique golds, natural jute and deep ochre. This array of golden straw tones will be a great accent color in my laundry room. They will also pop against my light grey walls, for a modern twist. The last thing I want to touch on is the baby print photo frames. I made a frame for each of my baby boys in their first few months in this world. I wanted a personal touch in the laundry room, and thought of these frames. I held them up to test it out, and I got a big teary- seriously. Yup, just me standing alone, in the dark in my laundry room, tearing up about how much I love my boys. I’m such a mom- Lol. Time to wrap up, because I have a big surprise for you next week, and I need to pack- Ahh!! 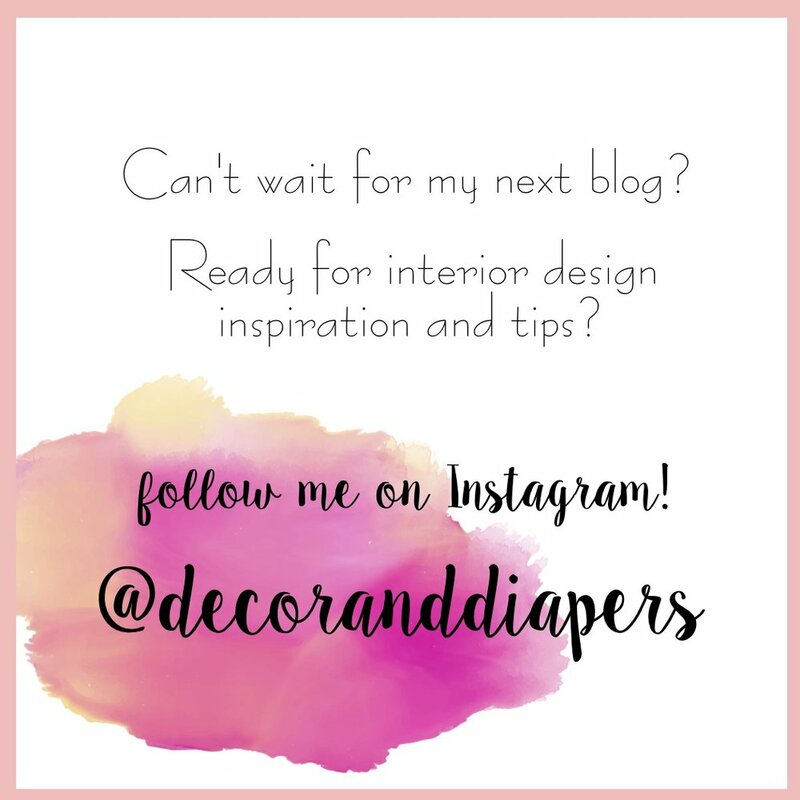 PS- If you can’t wait that long, follow me on Instagram @decoranddiapers and check out my InstaStories! 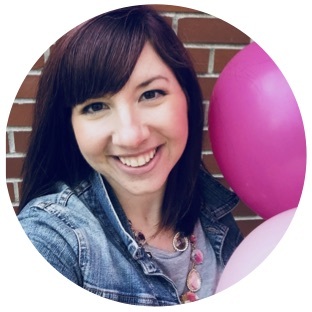 Remember to head over the the ORC Blog Page to see what the other 300-something guest participants are up to this week. And of course, follow along with the 20 featured designers by @betterhomesandgardens !